currently in preconstruction at 60 Norfolk Street, New York. 60-64 Norfolk Street has a total of 488 units. 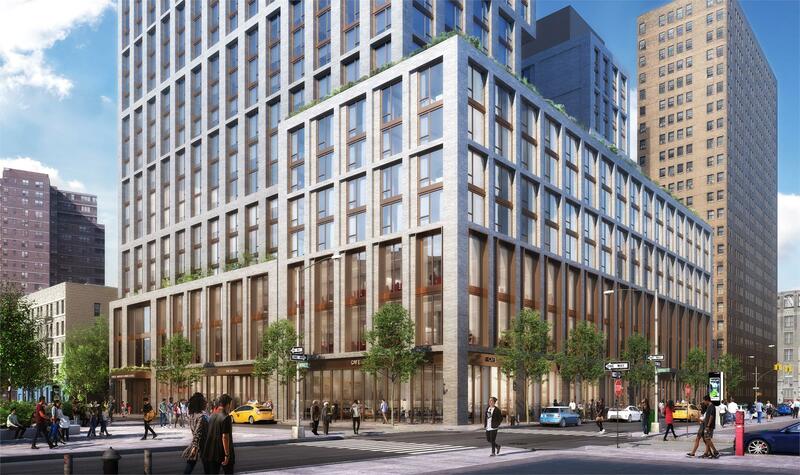 The Broome Street Development will consist of two buildings totaling approximately 400,000 sf facing Norfolk, Broome, and Grand Streets in the Lower East Side, across from the new Essex Crossing development. The first building will be a 16-story mid-rise with 115 senior units along Norfolk Street, and the second will be a 30-story mixed-income high rise with 25% permanently affordable units, with a proposed design that relates to the existing neighborhood context of historic Lower East Side low rise buildings and the existing Seward Park towers. A portion of the development will be set aside as the new flagship headquarters for the Chinese-American Planning Council (CPC). There will also be an independent condominium set aside for Beth Hamedrash Hagodol (BHH) to be used as a new Jewish cultural heritage center. Construction is slated to commence in 2020. Your inquiry will be delivered to the developer / builder of 60-64 Norfolk Street, who will send you more information about this development.